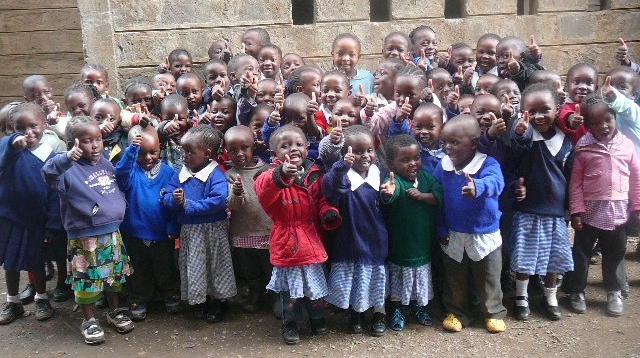 Kenya Kawangware School Build initiative is to construct, or modify, a building that would operate as a school for Baby Class, Pre-Unit, and at least grades one through eight. Ideally the school would go to grade twelve and will be dependant on the size of the lot ICO is able to acquire through your donations. The building will incorporate environmentally sustainable measures including a water catchment system and solar panels which would help to reduce the cost of bills. The property would also have an area to plant crops to help cover some of the food costs. This long-term project will be competed in phases. Phase One: Purchase land, install a fence and well on the property and start to establish fruit trees. Phase Two: Construct the elementary school which would likely take 1 to 2 years. Phase Three: Construct the high school which would take 1 to 2 years. Phase Four: Construct a commercial space used to support ongoing school operational expenses. Construction of our own school building would allow for decreased Kawangware sponsorship costs, eliminating the current rent payments. Owning the school building will reduce the cost per child attending the learning center, making sponsorship more affordable for more people. Construction of our own school building would also provide opportunities for community workshops, as well as influence over how money is spent in the school which ensure fair wages for all the teachers, teacher aids and any maintenance staff that may be required. ICO will purchase the property and take ownership until the school is built and operational at which point the school would be handed over to the school CBO (Community Based Organization) with a legal contract requiring it to only be used as a school. If ICO is unable to find a suitable piece of land of good value then donations will go to the continued rental of the building the children currently use.